Teraoka Seiko Co., Ltd. offers business support for clients in four main fields of industry; namely retail, food, logistics, and hospitality. They also provide cloud services which underpin these clients’ business. The company adopted Amazon Web Services (AWS) for their new infrastructure by taking into consideration the need for the system to be scalable in the future. Classmethod helped to architect “Delious Cloud”, the cloud-based integrated system which Teraoka Seiko created for food & beverage establishments. 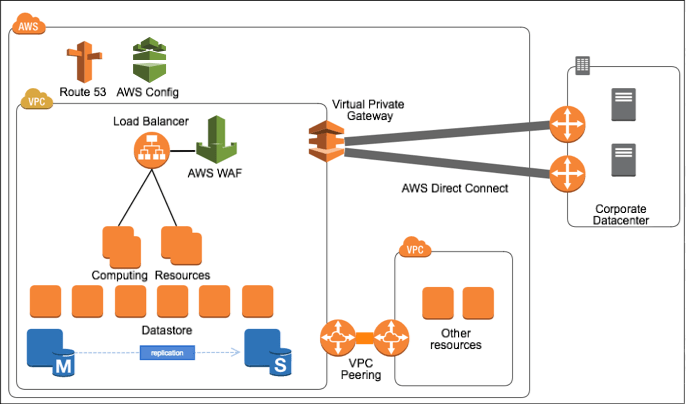 For this particular infrastructure, AWS Direct Connect was deployed to connect to Teraoka’s existing datacenter, and to establish stable communication. By utilizing AWS Config, we were able to obtain the change log of the AWS environment. Should any unintended changes occur in the AWS environment, it is possible to trace the change on a graphical interface. Any malicious communication is blocked by AWS WAF before reaching Amazon EC2.